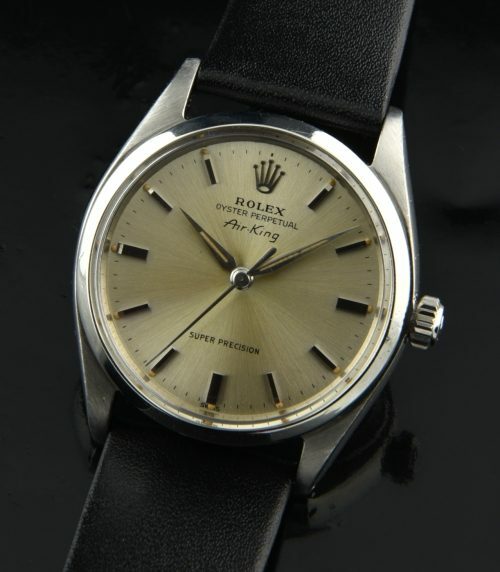 This 1962 ROLEX AIR-KING Super Precision is one of the most difficult vintage AIR-KING watches to find. This 34mm. stainless steel example is in fine shape overall. This dial is completely original and has taken on a very attractive patina. The Dauphine hands are original with matching lume. 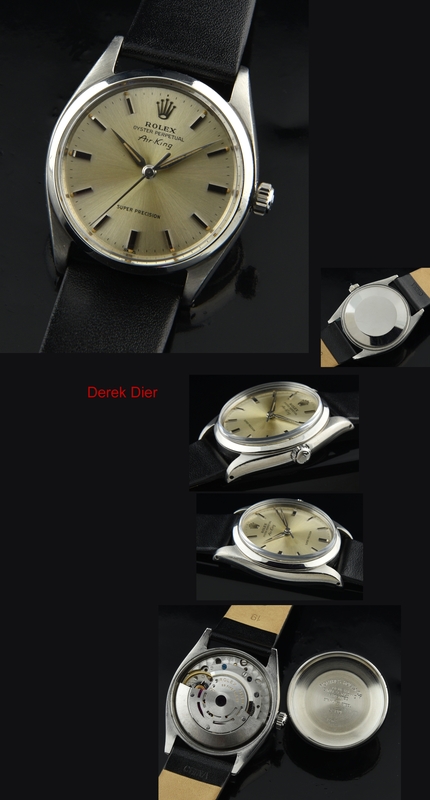 The stainless steel case is in fine shape, without any major dings or scratches. The automatic ROLEX movement was just cleaned by our ROLEX approved watchmaker and is accurate. Early Super Precisions in such fine shape as this example are becoming hard to find.